Group six same-colored balls together. Is there a better alternative to BeeCells3D? Is BeeCells3D really the best app in Arcade category? Will BeeCells3D work good on macOS 10.13.4? BeeCells3D is a game where the goal is to arrange six or more balls of the same color together in a group. After balls are arranged they disappear. 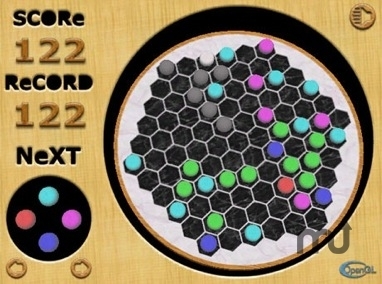 After each turn computer does put more balls on the board and your task becomes more difficult. Version 1.4: Release notes were unavailable when this listing was updated. BeeCells3D needs a rating. Be the first to rate this app and get the discussion started!